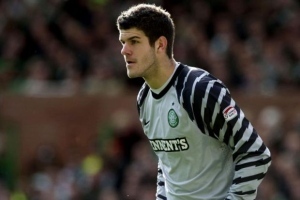 Fraser Forster – Coming of age? At a time for Celtic when Neil Lennon was new to the dugout, a replacement for the recently departed maverick goalkeeper Artur Boruc was top of the agenda. After several trials and tribulations with transfer negotiations, Lennon opted for a short term solution in Newcastle’s highly rated youngster, Fraser Forster, on a one-year loan deal. Forster came with a glowing reputation. At 6ft 7, and having just won Norwich’s Players’ Player of the year award under the guidance of former Parkhead favourite Paul Lambert, Lennon had every reason to believe he’d completed a shrewd deal by securing the 23-year-old’s services. However, despite statistically being a success in Glasgow, and managing to secure a second season at the club on loan, the keeper has never really lived up to the billing he was given upon his arrival at Celtic. Forster regularly showed lapses in concentration, committed calamitous errors, lacked conviction, lacked confidence and generally looked clumsy. That said, in his last three matches, the goalkeeper looks like the model professional goalkeeper Celtic have generally been bereft of throughout the years, so is Fraser Forster finally coming of age? Lennon put his faith in the recommendations of ex-professionals he knows only too well, namely the aforementioned Paul Lambert of Norwich, and then Newcastle coach Alan Thompson, who also raved about Forster’s potential. On paper he’s been great, with 20 clean sheets in 40 appearances at Norwich, and at Celtic he managed 24 from 44, but now it would appear he’s finally puffing his chest out and believing in his ability. For the first time, against Hearts at Celtic Park recently, I saw a Fraser Forster with conviction. In what could be a season-defining moment for the Bhoys, the giant keeper pulled off a miraculous save from the spot in the dying embers of the SPL encounter, preserving a crucial three-points for the home side. This proved to be a spring-board for Forster heading into the next match. Next up, Serie A high-flyers Udinese. Many tipped the Glasgow club to take a hiding on the continent, as before the match, Scottish sides had won just 1 of the last 32 competitive fixtures on Italian soil. True enough, Celtic failed to win the match, but left Udine with their heads held high after recording a respectable 1-1 draw. Forster was in his element, unleashing breathtaking saves that Dino Zoff would have been proud of. Throughout the match, save after save was produced; Forster looked unbeatable. Had it not been for a poor defensive decision on the part of Cha Du Ri, he would have been. A matter of weeks earlier, the Spanish media referred to Forster as being ‘as graceful as a hippopotamus’ in Celtic’s home defeat to Athletico Madrid, but after his showing in the Stadio Friuli, the big ‘keeper correctly received plaudits across the board. With his confidence surely at an all-time high, the Geordie approached Celtic’s next SPL match at McDairmid Park with an air of inevitability about the clean sheet that was to ensue. The 2-0 Celtic win won’t go down as a classic by any means, but on closer inspection, Forster perhaps is due more credit than originally given. Holding shots he’d previously have palmed, catching crosses he’d previously have punched or flapped at, and generally commanding his area in a way that exuded confidence for the defenders to gorge themselves on and feed off of. In the goldfish bowl that is Scottish football, every move you make is scrutinised beyond belief. Every mistake is exaggerated and covered in-depth by the controversy-hungry sporting media; while every good performance spawns ‘red-top’ newspaper hype that is exponentially proportional to the credit that is truly deserved. Therefore, Forster’s recent exertions could well be blown out of proportion, in the same way that any errors in recent month have conversely been, but one thing is clear, the youngster is playing the best football of his Celtic career at the moment. Broadly speaking, goalkeepers do of course peak later in life than outfield players. The true greats of recent times, Peter Schmeichel, Oliver Kahn, Gigi Buffon, David Seaman, and in Scottish football, Andy Goram and Jim Leighton, were all playing at their very best between the ages of 31-38. Forster has a fair way to go at just 23-years of age, but it’s now clear what Paul Lambert and Alan Thompson seen from the young man on the training ground each day. If Forster can maintain this level of form, it would go a long way to seeing the SPL trophy making its way to Celtic Park in May. Although the issue that’ll no doubt be creeping into Neil Lennon’s mind is what’ll become of Forster in the summer. If the goalkeeper plays well for the rest of the season, Premiership clubs, including his own Newcastle United will take interest. It’s unlikely that Celtic would have the option of a third season-long loan, so Lennon may have to decide if Fraser Forster’s recent coming of age merits a plunder of a few million pounds to secure his services on a permanent basis. Forster himself has expressed a desire in making the switch a long-term one, but given the stringent financial limitations imposed on Scottish football at the moment, the complexity of the transfer could be increased despite Celtic’s need to galvanise the team with a steady goalkeeper in the squad for years to come. Time will tell if Fraser Forster is the man for the job. 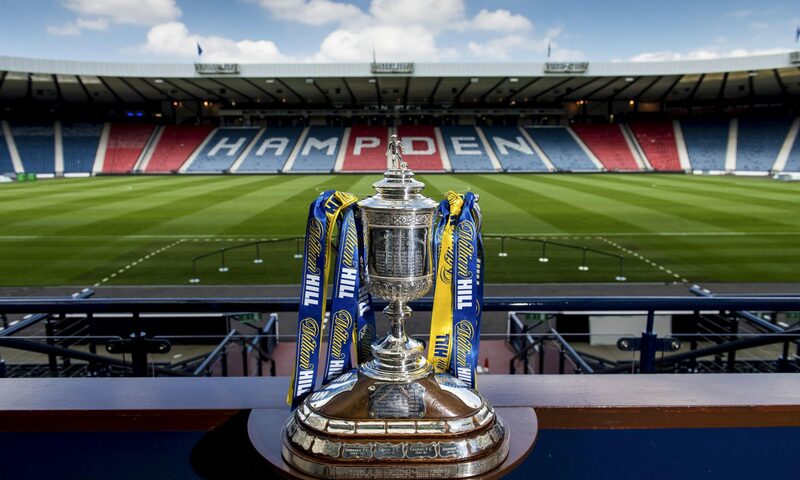 Next PostNext Hearts’ Scottish Cup Heroes of 2006 – Where are they now?